Copy and paste the URL in your browser to visit. Please let us know of any broken links or updated information and we will update this page, thank you! This site was founded in 1998 by two college students to help others find money for college after experiencing first hand the arduous task of obtaining funds. What started out as a home-based project is now a nationally recognized service listing over 200,000 awards. On-line scholarship applications for students interested in nursing. Scholarships listed are grouped in the following categories: creative arts, humanities, social sciences, natural sciences, biomedical sciences, and general. Nonprofit organization provides scholarships for Armenian-Americans. BrokeScholar is a free search engine that lets you search through a database of more than 900,000 college scholarships. After you complete the on-line questionnaire, BrokeScholar shows you each scholarship’s name, how much money is available, and the application deadline. Click on the name of any scholarship and BrokeScholar shows you more in-depth information about that scholarship including applicable majors and schools, contact information, and even a link to the scholarship provider’s Web site. Alpha list by state of schools that offer cheerleading scholarships. Also gives information about tryouts. Clubscholarship.com has over 500,000 awards in a searchable database that allows users to browse for the best matches. It also has a school search feature, EFC calculator, and Financial Aid Forum. Fill out a questionnaire and receive information on scholarships that match your characteristics. While this commercial site promises to build a personalized list of scholarships that fit a student, it also includes regularly updated scholarship information that is available to anyone who visits the site. Common Knowledge Scholarships are designed to reward students with well rounded, practical knowledge, and not necessarily those with the highest academic standing. Students logon to web site once a week and take a multiple choice quiz. Questions are pulled at random from a database of information deemed to be “common knowledge”. Students accumulate points for correct answers. At the end of each scholarship competition, the student with the highest accumulated point total wins a scholarship. Part of a comprehensive site on engineering career information. Very comprehensive site contains a database of over 600,000 scholarships and is growing all the time. Complete a questionnaire and Fast Web will give you a list of scholarships for which you are eligible. Some scholarship applications are available on line. Fast Web will also notify you if additional scholarships are added to its data base that are a match for you. Mega scholarship site with links to special interests and specific majors. While this data base was created for students who attend UCLA, students attending any college would find useful leads at this site. Weekly newsletter of scholarship and financial aid information. Also has list of contest students can enter to win money for college. Free scholarship search site also has links to other financial aid information. Scholarship search engine. site also has information on loans and government programs. This comprehensive site lists scholarships that are unlimited in number, and require no interview, essay, portfolio, audition competition of other “secondary” requirements. The scholarships are listed by college. This site would be especially useful to valedictorians and other students with outstanding qualifications. This site lists scholarships for Hispanic students and universities who participate in the Hispanic Fund scholarship program. This site lists scholarships for Hispanic students, including some for undocumented students. Links to scholarships for Hispanics. Information about this new (1997) scholarship provided by the U.S. Department of Education. Before you take the time to write that poem in an effort to win a scholarship, see if the organization is listed as a scam at this site. 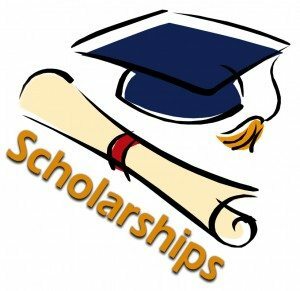 Scholarships solely for students at Carl Sandburg High School. Extensive linked list of scholarships for the nursing profession. Search database by state or course of study. The creator of this site started by looking for electrical engineering scholarships for himself, but has expanded to many other majors. Also included are scholarships grouped by gender, heritage, state, and membership in organizations. Scholarships organized into the following categories: religion, athletics, college major, state of residence, minorities, and handicaps. Produced by a single person who mounts scholarship information as she finds it. Not a large database, but a good one organized by categories. List of links was compiled by the Hispanic Association of Colleges and Universities (HACU). Site run by the Federal Trade Commission that helps students and parents avoid unethical scholarship data base providers. Advice on how to avoid scams from the Federal Trade Commission. The Society of Women Engineers administers over 100 individual scholarship awards annually, varying in amount from $1000 to $5000 per year and totaling more than $200,000. Program in order to increase the number of traditionally under-represented students entering science and math-based careers. The Ventures Scholars Program has identified high-achieving African-American, Black, Latino, Hispanic, and Native American students from their PSAT scores and has provided them with recognition and information to increase their chances of pursuing careers in medicine and the allied health professions, science, engineering and mathematics. This has been accomplished by partnering with a consortium of undergraduate and professional institutions nationwide and providing opportunities for these institutions to recruit, enroll, and prepare targeted students for these professions. Fill out an on-line questionnaire and let Wired Scholar find scholarships from its database that match your characteristics.